Argan oil is not only beneficial to skin – it is also great for your hair. This non-greasy oil makes the perfect leave-in conditioner that makes your hair easier to style while repairing those pesky split ends! Argan oil helps to tame frizz and fly-aways, protect against the heat of hair dryers, curlers, and flat irons, all the while promoting volume and a healthy shine. Smoothes, deeply conditions & tames frizzy, unruly hair. Repairs the damaged hair while leaving it silky smooth. Gives you instant softer, shinier and a smoother hair look. Moisturizes dry hair by infusing its fiber with essential nutrients. 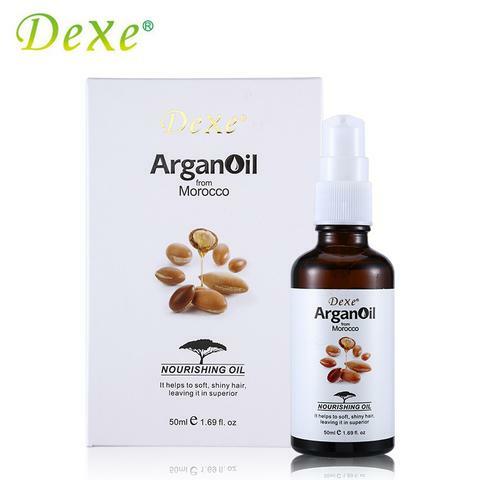 Rub drops of Argan Oil to on to your palm then gently rub it on your hair and scalp once or twice a day and massage for a couple of minutes for best results.